Cottages with their own kitchens surround the bed and breakfast. 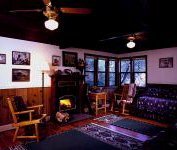 Six of the ten cottages have fireplaces or wood stoves, all have private baths, some are smoke-free and one is wheelchair accessible. Prices range from $85-$225/night. New this year is a 2 bedroom vacation cottage on 3 acres on the Russian River. If you want privacy and proximity to the River choose "Summer Crossing" Rates: $225-$245/night. This and other Sonoma Resort Bed and Breakfast Inns can be found here in The Register. 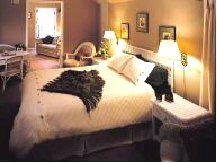 Romantic Country Inns, Getaways and B&Bs offer a great wine country lodging alternative to big hotels.